Swaraj has been invited as a "guest of honour" at the inaugural session of the foreign ministers' conclave in Abu Dhabi on March 1-2. ISLAMABAD: Pakistan Foreign Minister Shah Mehmood Qureshi on Wednesday threatened to boycott a meeting of the Organisation of Islamic Cooperation (OIC) scheduled for next month in the UAE if India's External Affairs Minister Sushma Swaraj participates in it. "I have no reservations with the OIC or any other Islamic country. My reservations are with Indian Foreign Minister Sushma Swaraj's attendance at the OIC meeting," Qureshi told Geo News. "If Swaraj attends the meeting then I will not participate in it," Qureshi said. He said shared that UN Secretary-General Antonio Guterres and Turkish Foreign Minister Mevlut Cavusoglu telephoned him. 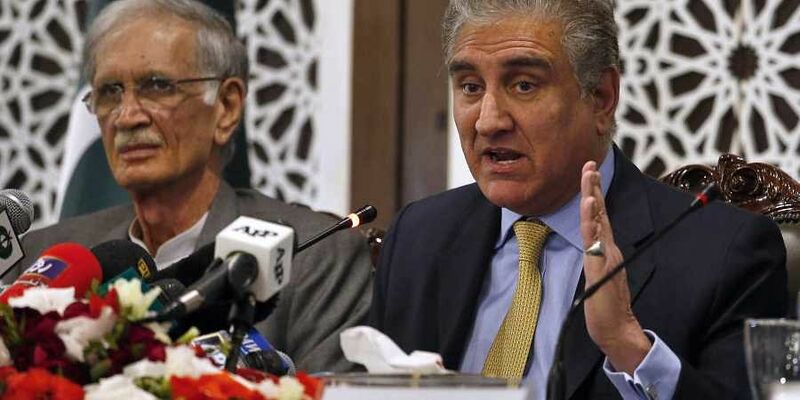 "We believe India has committed aggression against a brother Islamic country and attacked a founding member of the OIC," Qureshi quoted Cavusoglu as saying. "The Turkish foreign minister said there is no reason for Indian Foreign Minister Sushma Swaraj to attend the meeting of the Organization of Islamic Countries (OIC) and Turkey will fully oppose her invitation and opportunity to address," he added. Last night, Qureshi said he spoke to his UAE counterpart Sheikh Abdullah bin Zayed Al Nahyan expressed his reservations over invitation to Swaraj. "Under the current circumstances, it will not be possible for me to attend OIC meeting where Swaraj is present," he said. Meanwhile, the OIC on Tuesday "condemned" India's "incursion and aerial violation" in Pakistan. It urged India and Pakistan to exercise restraint and avoid any steps that would endanger peace and security in the region. It called upon both parties to act responsibly and encouraged them to seek peaceful solution to current crisis without resort to use of force. It also called on them to embrace dialogue and work towards de-escalation of current situation as a matter of priority. The OIC Contact Group on Jammu and Kashmir held an emergency meeting at the OIC General Secretariat in Jeddah and expressed deep concern over the heightened tension in the region and called for immediate de-escalation. The OIC is an international organization founded in 1969, consisting of 57 member states, with 40 countries being Muslim Majority countries.